When you or a loved one receives a cancer diagnosis, oral health is likely the furthest thing from your mind. However, this systemic disease does significantly impact both your oral and whole body health. 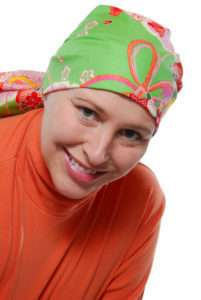 Treatments for cancer like chemotherapy and radiation can also increase risk for oral health complications. Caring for your teeth and gums in our dental office and at home can ensure your smile remains whole and healthy, but it will also help prevent an oral infection from delaying your cancer treatment. Keep reading to learn more about the impact cancer and its treatments can have on your oral health. Pretreatment appointment – a few weeks before your first chemotherapy or radiation session, visit a dentist for an examination. They will look for bacterial infections, abscesses, and gum disease that can lead to immune system compromise during treatment. If these concerns are noticed, we will provide treatment to correct these issues before you begin cancer treatment. During chemotherapy and radiation – these treatments for cancer can lead to dry mouth and cause mucous membrane inflammation which leads to mouth sores or ulcers. Your dentist will walk you through some ways to increase oral comfort and prevent oral infection with your at-home oral hygiene routine. You will probably need to visit your dentist for more frequent checkups during treatment. After care – following chemotherapy and/or radiation, patients often experience severe dry mouth, sensory changes to smell and taste receptors, significantly increased risk for gum disease and other soft tissue infections, and sensitivity to hot and cold foods and beverages. Your dentist will be your partner in caring for your smile and treating any new issues that arise from cancer treatments. At McCarl Dental Group, we’re dedicated to keeping patients’ smiles whole and healthy for life, and that includes maintaining oral health before, during, and after chemotherapy and radiation. We hope you’ve found this information about caring for your smile following a cancer diagnosis helpful. If you have questions, feel you may be at risk for oral cancer, or want to find out more, please contact your dental professionals at McCarl Dental group.